The events leading up to the Scottish independence referendum in 2014 lead to a sea change in the nation’s relationship with politics. This was not the change many had hoped for, but whatever your views on the matter, it must be agreed by both sides that the “political awakening” the country experienced on its journey towards the September 18th vote was a profoundly positive outcome. Now in 2016, the entirety of the UK has an opportunity to experience what is sure to be another passionate and fiery referendum campaign with the “Brexit” vote looming on the June horizon. One hopes that a repeat of the increased and sustained political engagement that we have seen in Scotland over the last year can be achieved. There are however lines that must be drawn. Writing for Apollo Magazine last month, Alistair Brown stated “museums must engage in the Brexit debate – whether they like it or not.” Museums cannot engage in the Brexit debate though, nor should they. Meddling in political affairs is not in the remit of the museum. The Scottish National Galleries or the National Museum of Scotland for example, are non-departmental public bodies, meaning they are apolitical despite their government control. Just as smaller regional museums are not to be used as instruments for the council’s who operate them, nor can they express any other political opinions. Politics is divisive, and museums must be neutral. As publically funded bodies it would be wrong for them to risk alienating those who pay for them by voicing political opinions, that is not their job. The museum is the custodian of history, not the author of it. Institutions could of course engage with the debate without picking sides, presenting an unbiased account of the arguments in order help people better inform their decision, but it’s just not worth the inevitable hassle. Call me sceptical, but an unbiased account of a referendum debate is an unattainable dream. In 2014, I and I’m sure many other Scots looked for one until we were blue in the face (or not as it transpired), and can attest to their impossibility. The trouble is that referendums are about individuals – they can even split political parties down the middle. They are democracy in its purest form: no constituencies, no tactical voting, just one question and two sides to pick from, and the box most individuals tick forms the majority public opinion. How can you be unbiased when there is no middle ground to reside in? How can a group of museum professionals satisfy an opinion that they have presented unbiased programming when it is comprised of people who must be leaning one way or the other? No matter how competently they try, they will never satisfy everyone that they have done so, and everyone needs to be satisfied by museums because everyone pays for them. Referendums, especially of this nature, are too toxic for museums to touch. Alistair Brown is not wrong however in his assertion that the debate does need a cultural voice. 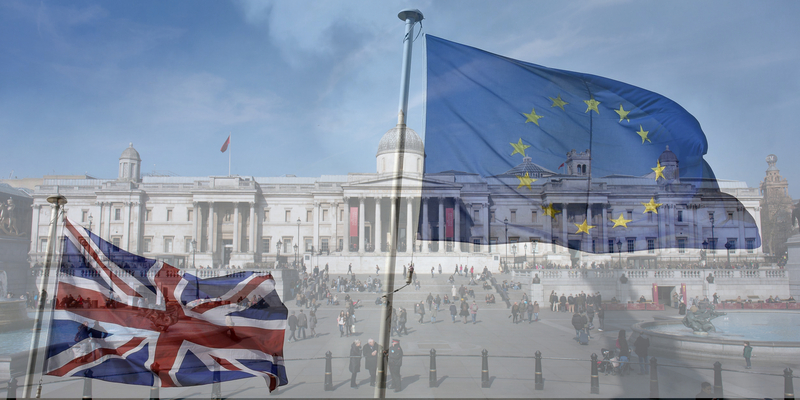 Museums would undoubtedly be better off should the UK vote to remain part of the EU, preserving its receipt of important funding and links to research networks in the arts and sciences. The alternative is also demonstrably bleak; with the current Tory government’s austerity cuts pulling the plugs on the life-support machines of many of England’s smaller regional museums, and our cash strapped municipal museum services here are not short of their own problems. Even London museum aren’t safe. I would urge everyone to read the letter to the public written by the seemingly inexhaustible Claire Madge, who volunteered 2 and a half years of her life to Bromley Museum only to have it snatched by cuts from her, her family and their community. Whatever way they wish to vote, it is voices like hers that must speak up for culture in the debate. Referendum results are the sum total of the opinions of individuals, and individuals must argue the cases too. If it was ethical for a museum to voice a political opinion, surely they would have campaigned against voting for Conservative austerity in the general election last year, but it isn’t. Sadly, museums are condemned to accept their fate, whatever it happens to be. They are anchored to a world they cannot move, only hoping that it continues to choose it to tell its story. It is we individuals who write that story though, and if like me you cherish those institutions, you must speak up for them. The museum has its hands tied; it is up to the people to join theirs to protect them.